Levenhuk Bruno PLUS 15x70 astronomy binoculars will give you an excellent opportunity to explore the depths of space! 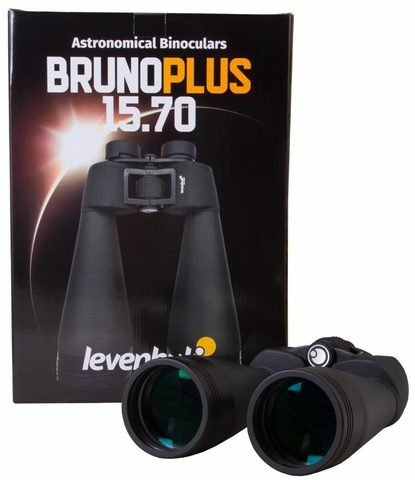 Their characteristics are quite comparable with those of an entry-level refractor and allow us to survey the beauty of our universe. 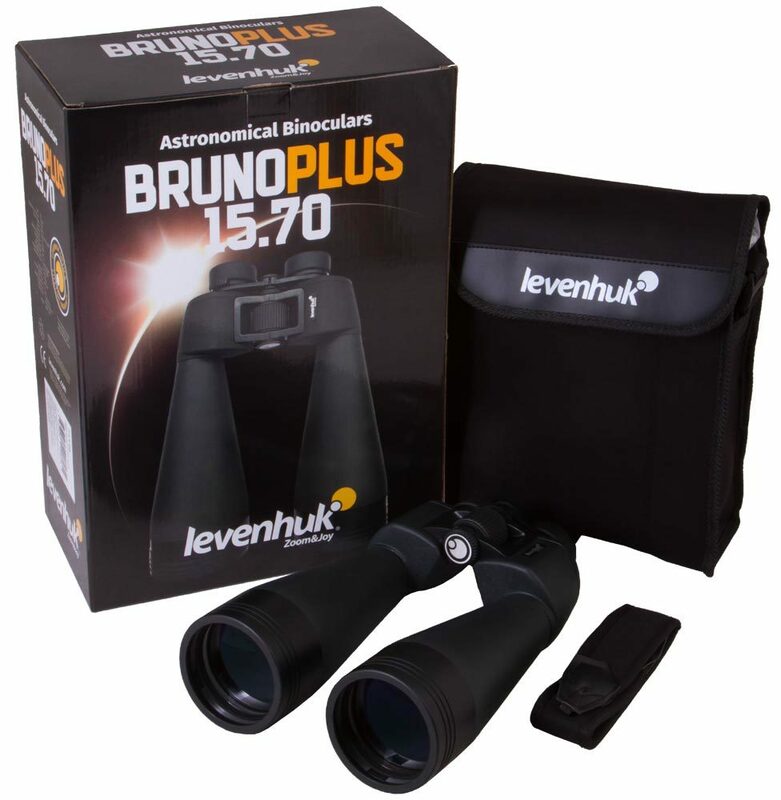 With Levenhuk Bruno PLUS 15x70 astronomy binoculars you can view the Moon, find Saturn and Venus on the sky, and track the movement of the International Space Station. These binoculars would be an excellent device to observe a meteor shower and the flashes of Iridium. 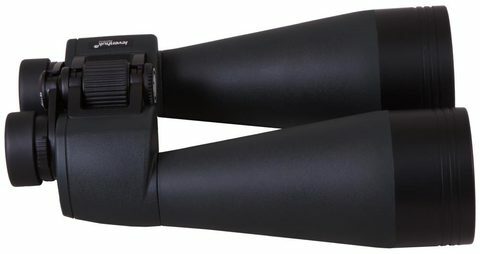 Porro prisms and five-element eyepieces underlying the optical scheme transmit a clear, contrast and detailed image without distortions. 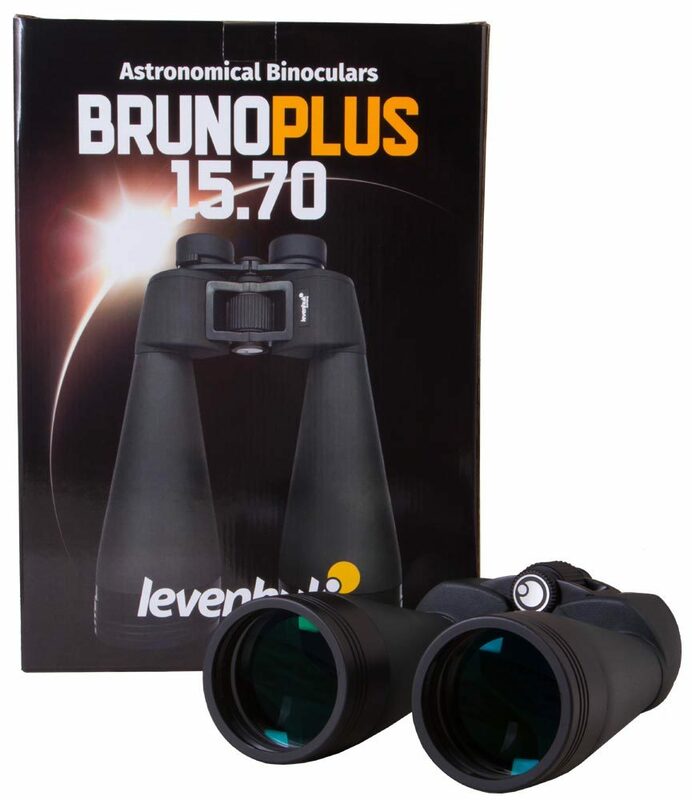 All optics elements are made of high-quality BaK-4 glass, and the lenses are multi-coated. High-aperture objective lenses are perfect for night observation of the starry sky. 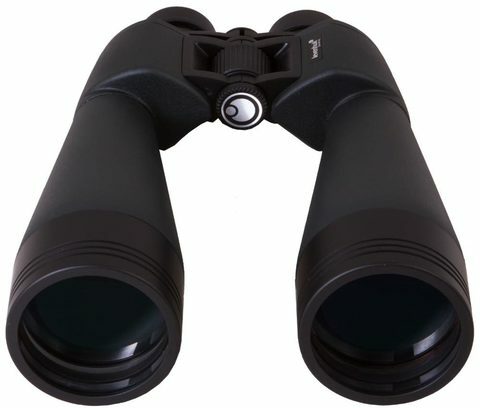 The optical properties of these binoculars allow you to enlarge images of distant objects15 times. 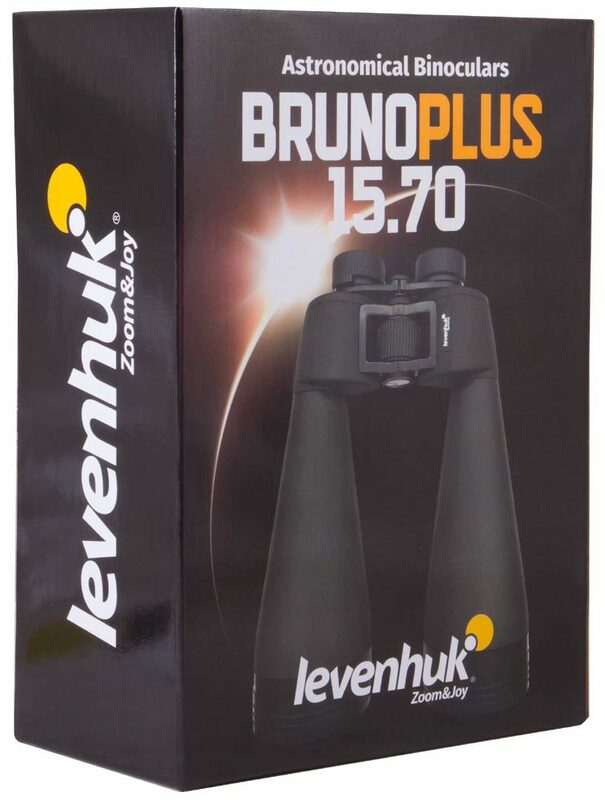 Levenhuk Bruno PLUS 15x70 Binoculars are a reliable optical instrument that is not afraid of challenges. 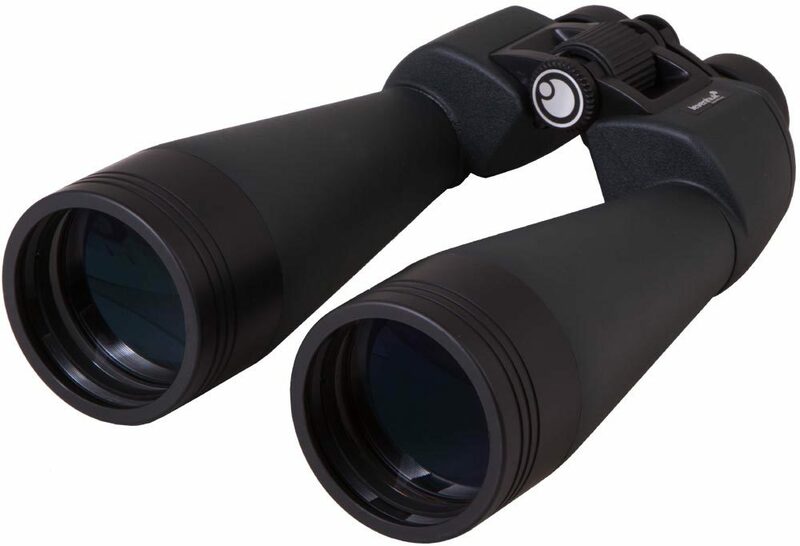 The hermetic design does not allow penetration of water and dust inside, and the nitrogen filling protects lenses from fogging. The shell is made of shock-resistant aluminum, which is unaffected by falls and shaking. 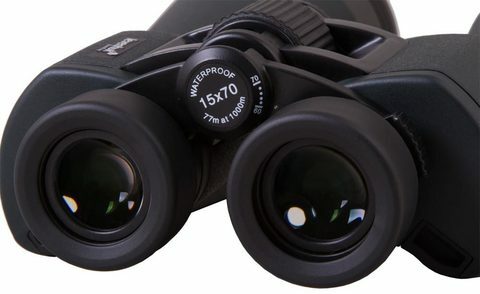 You can continue to observe even under extreme conditions. We recommend mounting these binoculars on a tripod to obtain the clearest picture. The binoculars’ tripod mounting socket will accommodate any tripod of standard diameter. 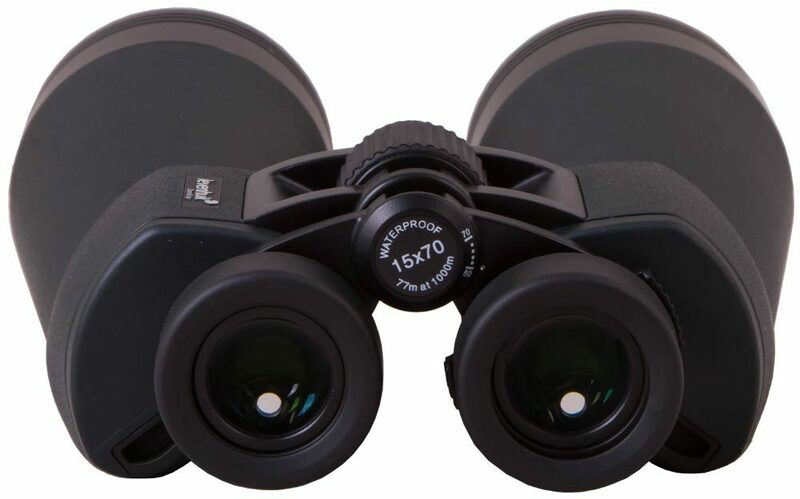 To make observation comfortable for any user, you can adjust the interpupillary distance, the diopter of the right eyepiece and the position of the twist-up eyecups. 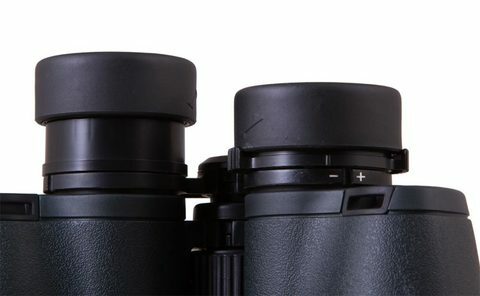 For focusing, a standard center-focusing cylinder is used.